Mechanicsburg – Williams Grove Speedway has released its 2016 schedule of events that includes a total of 35 race dates beginning with the season opener on March 18, 2016 at 7:30 pm. The 410 sprint cars will be the featured attraction on 33 of those 35 dates. Perhaps the biggest news coming off of the 2016 schedule release is the return of the USAC Silver Crown series to the track for the first time since 1981. 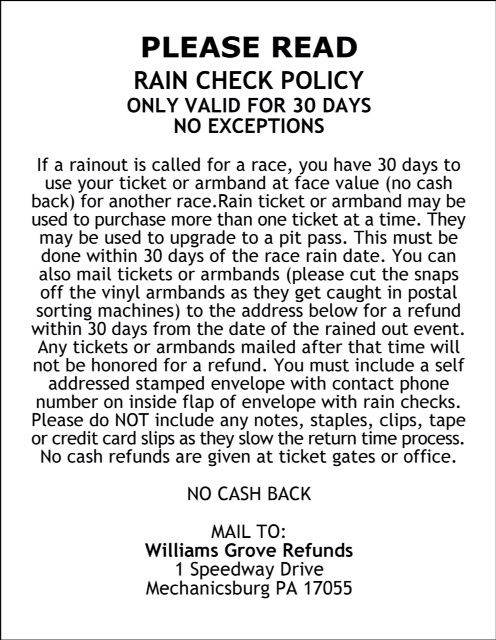 The Silver Crown program takes place on Friday, June 10 and revives a decades long event but one that has also been missing from the Williams Grove slate since 1975 in the form of the Ted Horn/Bill Schindler Memorial. The Horn/Schindler 100 is sure to be a can’t miss event. Of course the World of Outlaws sprint cars return to the track for a total of seven events including the series customary two-day May and July stands along with the three-day 54th annual Champion Racing Oil National Open on September 29, 30 and October 1. Champion Oil will also be the title sponsor of the July Summer Nationals World of Outlaws program. The All Star Circuit of Champions sprints will make just one appearance at the track next season, on August 19 for the Jack Gunn Memorial. The United Racing Club 360 c.i. sprints have a healthy five dates inked on the 2016 schedule while the regular Williams Grove HJ Towing & Recovery 358 sprints enjoy 11 total shows on the agenda. June 22 will find a rare show at the track as the historic oval hosts the return of the Super DIRTcar Series big block modifieds for the first time since 2006. The URC sprints will join the big blocks for the Thursday show. Other divisions appearing on the 2016 schedule include ARDC Midgets, PASS IMCA 305 sprints, street stocks, super sportsman, limited late models and super late models. The super lates join the 410 sprints for the season opener in March before returning twice more. The regular Williams Grove 410 sprints cars, aside from competing in the season-long Lawrence Chevrolet point title chase, will also be taking part in two other series of races within the overall title chase. The Hoosier Diamond Series will again be staged with a champion declared based on performances in select races during the year while a new series of sorts, the Yellow Breeches 500 races take place on April 1, April 15, May 6, July 8 and August 26. The majority of the season beginning in April will see starting times moved back from 7:30 pm to the once regular 8 pm green flags. 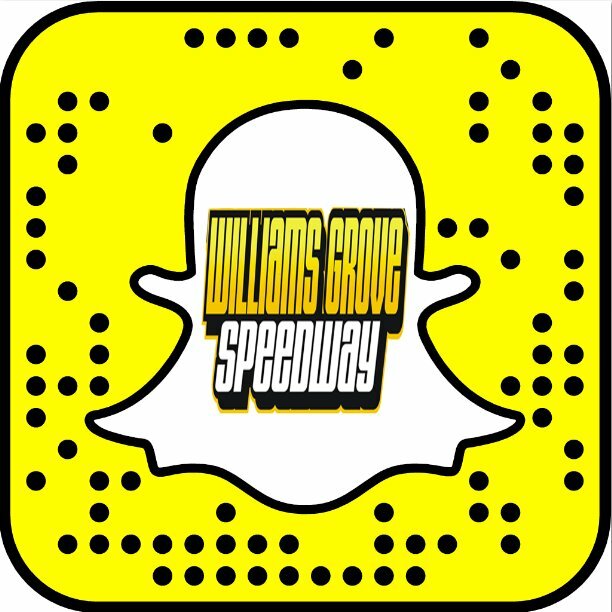 To see the full 2016 Williams Grove Speedway schedule of events, visit the oval’s official website, www.williamsgrove.com.